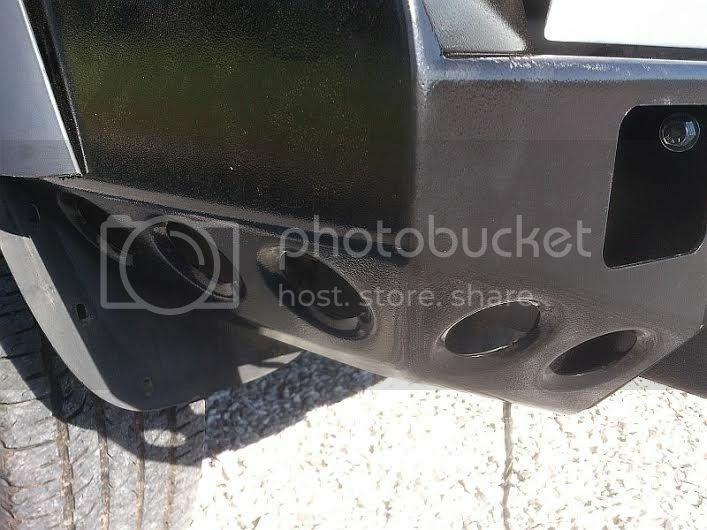 LOST JEEPS • View topic - KJ Rear Bumper FOR SALE ORDER NOW !! 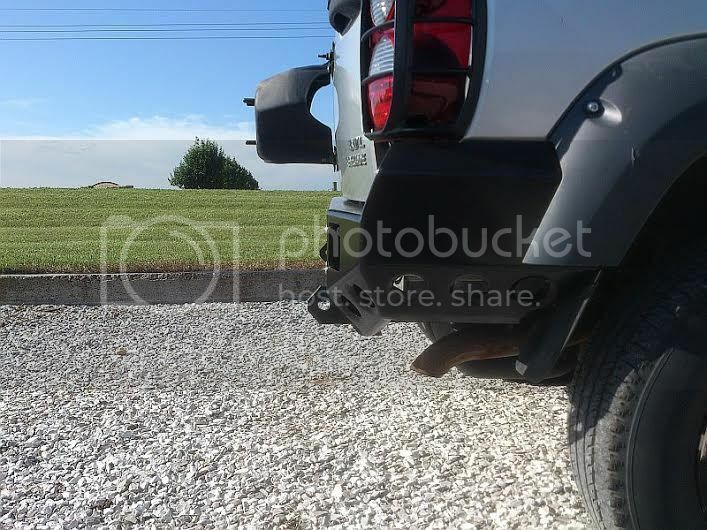 KJ Rear Bumper FOR SALE ORDER NOW !! 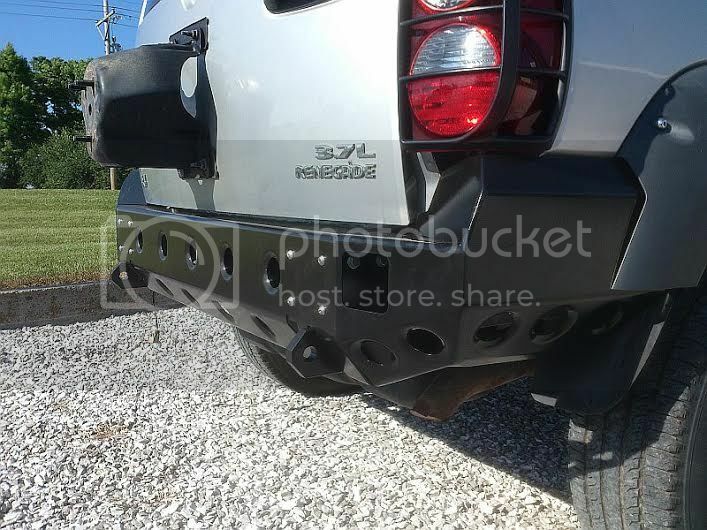 Post subject: KJ Rear Bumper FOR SALE ORDER NOW !! We are now ready to start. The design will be like shown below EXCEPT without the holes across the face. There will still be holes on the lower section. There is one design only, no custom one offs. I had to order 10 to start. 2 are spoken for already, so I have 8 that will be for sale. These are all laser cut and are looking great. Shipping will be approximately 3 weeks from the date you order. IF INTERESTED PM ME AND I WILL SEND YOU MY PAYPAL ACCOUNT INFORMATION. the mounts are 1/4" with 3/4" shackle tabs. Pricing is yet to be determined. 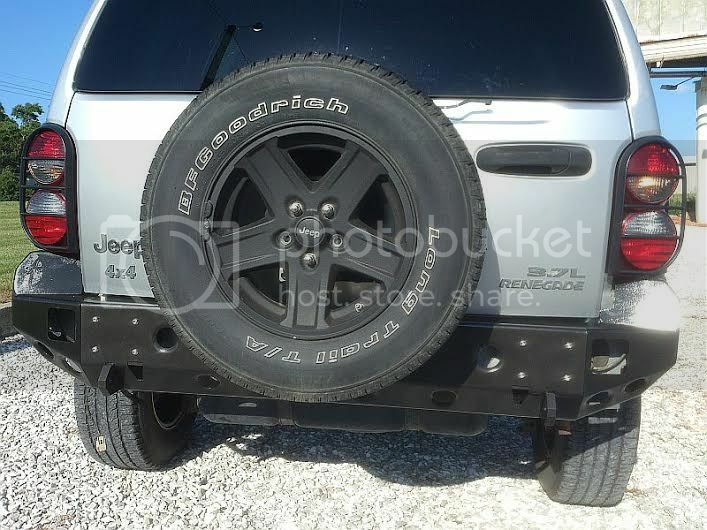 theme as the rear bumper shown here. 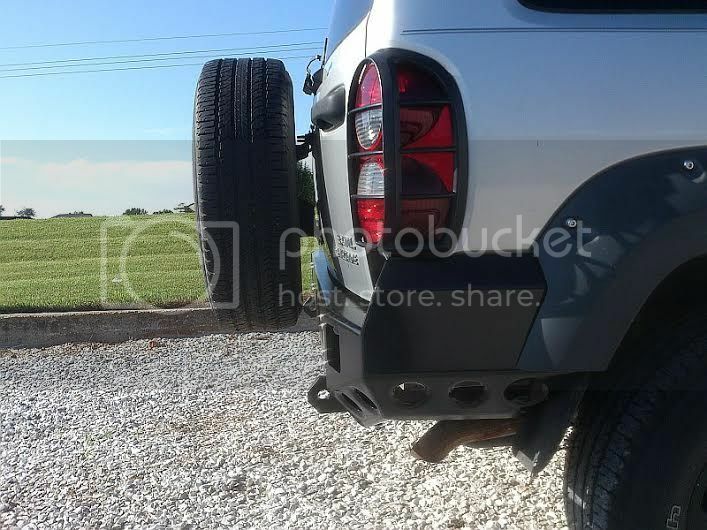 Post subject: Re: New KJ Rear Bumper In the Works !!! My only question is; When will it be available??? That is exactly what I need. Nothing fancy, or heavy. Just steel out back. Jeep owner, and all around swell guy. 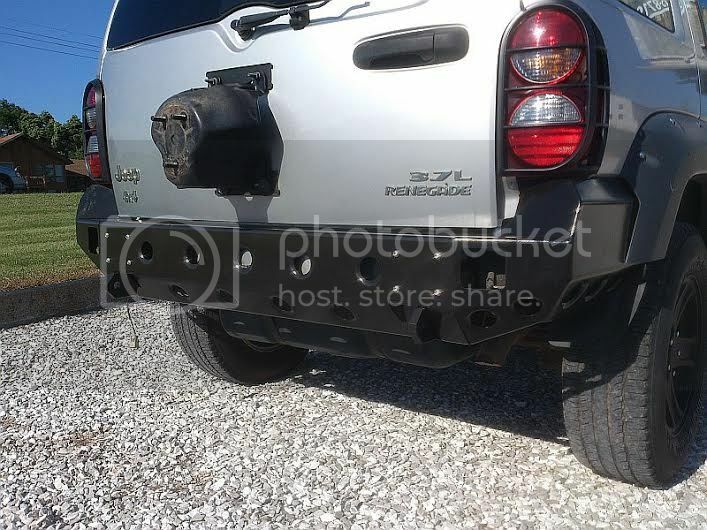 Would be nice if you could by the basic bumper, then add the tire carrier, gas can, etc.at a later date if you want or not at all. Also would be nice if they make a front bumper in the same design too. 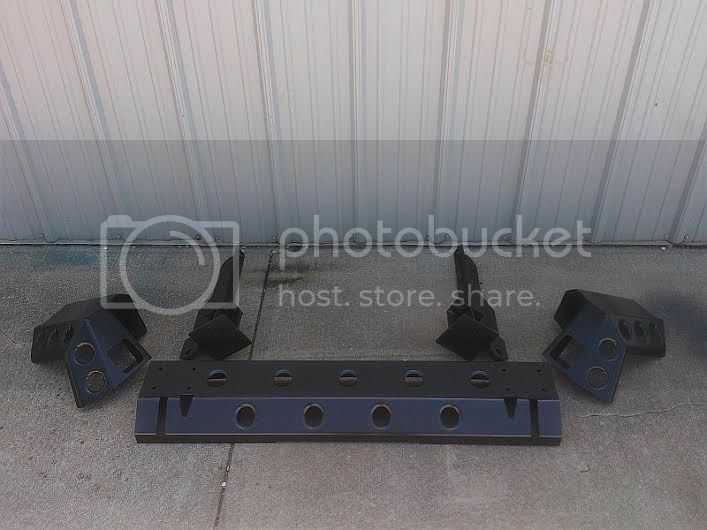 custom made items: cross rails, grill inserts, cargo shelf, lightbar, pin stripping & rock rails. We could put holes in the tubes and cork plugs on electronic controlled hinges so that when driving down the road one could hit buttons on the center of the steering wheel and play music!! 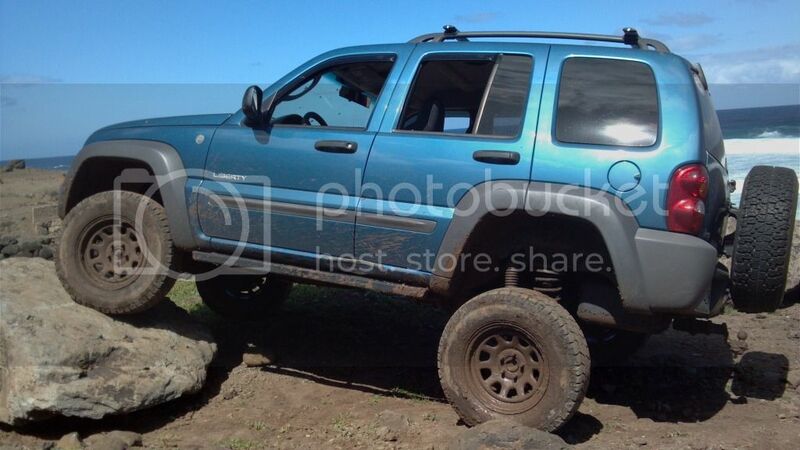 Looks good, So bolting those bumper brackets on with a hitch and mopar skid plate will work? Longer bolts required? ...We could put holes in the tubes and cork plugs on electronic controlled hinges so that when driving down the road one could hit buttons on the center of the steering wheel and play music!! Not sure I am digging that look. I'm digging the design but don't like the holes in the upper middle section or the led square holes. Its nice to see r&d going into a libby. I'm liking it. Had to set back and use my imagination a little and carry the hole theme a little further. Accessories, Soft 8's , a front bumper with similar design etc. etc. . Good option for keeping the Libby light but still have steel bumpers. 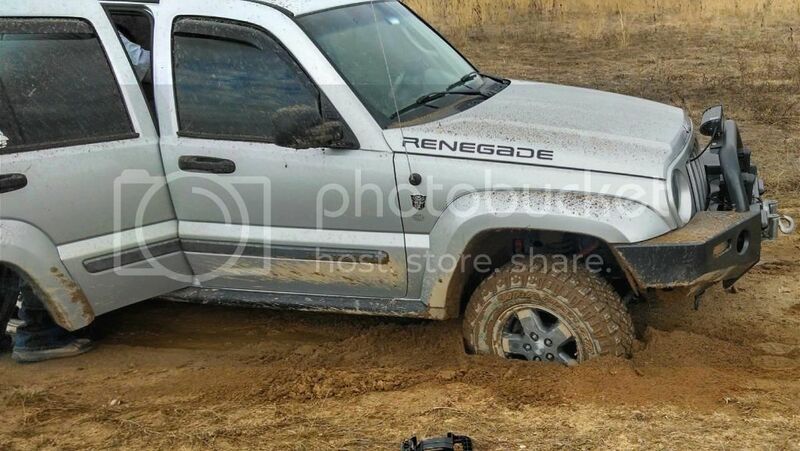 Maybe....., possibly could do the center section without the holes, but sides will remain, with the design of the front bumper design having the same overall look and being part of the look we are going for, some have to remain. Otherwise I think they will just look like others, trying to set these apart with a " new " look not seen on KJs up till now. Have to keep the R&D going, Just found my Step dad an 05, I would like to have a couple more before the year is out. My goal is to have an 02-03-04, So what else are we to do but keep trying to keep the KJs alive !! I like it. 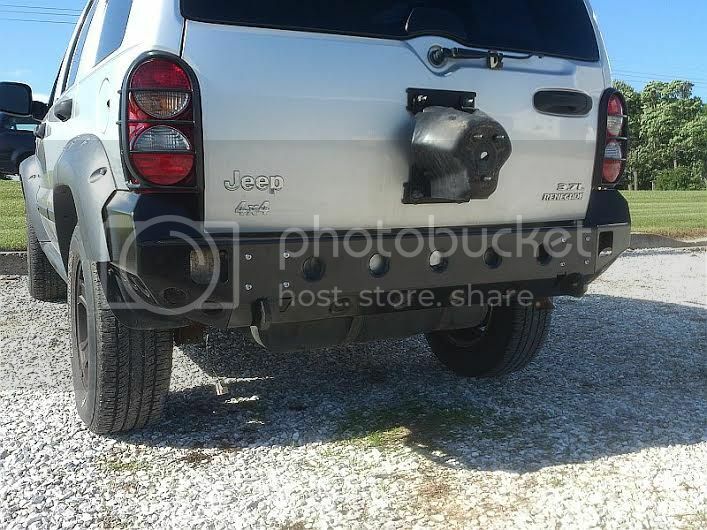 Buuuuuttttttttttttttttt.............what if I have the tow hitch?????? ?